The Nasa said its InSight lander captured the sound of a low frequency rumble on the red planet about a week. 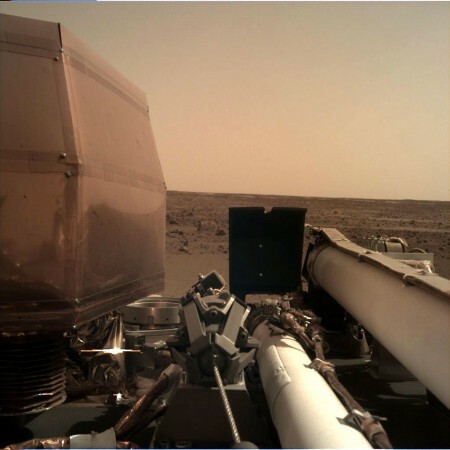 The National Aeronautics and Space Administration (Nasa)has been able to capture the sound of winds on Mars for the first time ever through its InSight lander, which landed on the red planet a week ago. The Nasa said in an official statement that its InSight sensor recorded a low frequency wind on Mars blowing 10 to 15 mph (5 to 7 meters a second). Bruce Banerdt, InSight principal investigator at Nasa's Jet Propulsion Laboratory (JPL), said that capturing the sound waves on the red planet was unexpected and that its mission was dedicated to detecting the motion on Mars which also includes the motion caused by the sound waves. The noise was produced due to the air blowing over the solar panels of the InSight lander as well as the motion of the spacecraft. Nasa said that the air pressure sensor used to collect meteorological data recorded these air vibrations directly. The seismometer of the spacecraft also recorded sound vibrations, it added. The space agency released a raw audio sample of the sound on Friday, which could be heard through mobile and laptop speakers. Nasa is scheduled to land its rover with two microphones on the red planet in 2020 to be able to capture a clearer sound. The agency said that in next few weeks its Insight lander will also detect the effect of quakes or tremors on Mars, also called Marsquakes, which will provide a deeper insight into the the red planet's interior and possibly about the formation of planets including earth.